According to research, users spend a lot of time during the day unlocking their smartphones. As Motorola so elegantly states in its newest video (shown above), your phone is a very personal extension of yourself, so the way you unlock it should be too. 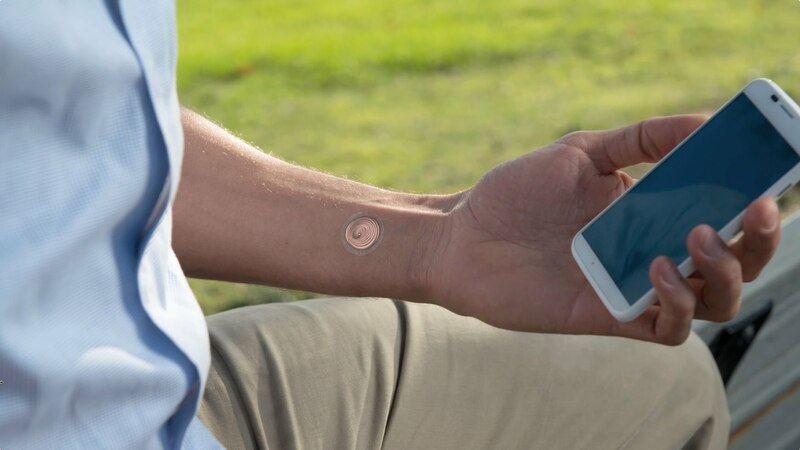 With a new partnership between Moto and VivaLnk, people can now attach NFC-powered “digital tattoos” to themselves, allowing users to forget their pass codes and PIN passwords for unlocking their devices. The tattoo works much like Moto’s Skip accessory, which you would attach to your clothes. With this piece of tech, which is roughly the size of a nickel, you place it on your body, then hold your Moto X up to it to unlock the phone. It should blend in with most skin pigments, so worrying about it standing out on your body shouldn’t be of major concern. According to VivaLnk, the tattoo should last roughly 5 days before you will need to replace it. You can purchase a 10 pack of these digital tattoos for just $9.99. If they interest you, go for it.